One of the most important things you can do for your overall health is to make sure you are getting adequate amounts of the nutrients vital to your body's proper function. 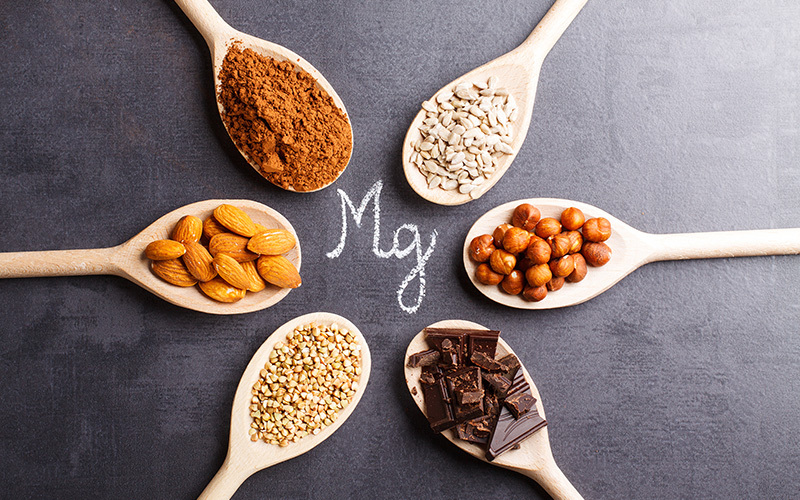 Often overlooked, magnesium plays a crucial role in your body and is needed for more than 300 biochemical reactions in the body. In the past, people got the majority of their magnesium from organ meats, seafood, mineral water, and mineral-rich soil from their fresh fruits and vegetables. But with today's processed foods, many lack an efficient amount of magnesium in their diets. If you are deficient in magnesium, you may experience muscle twitches and cramps, fatigue, and muscle weakness. If left unaddressed, magnesium deficiency/depletion can lead to much larger health issues. Unfortunately, many health conditions can cause magnesium to be used up quickly in the body. For example, stress can lead to many issues if it is prolonged and/or frequent. In today's world, most people's stress levels are abnormally high. This causes your body to release large amounts of stress hormones to your brain. Magnesium prevents the entrance of stress hormones into the brain, which is why many people take magnesium before bed, to help them relax and be able to sleep soundly. It also helps to regulate muscle contractions and has anti-inflammatory properties. Leading the industry with our advanced research and studies to pinpoint exactly what the body needs in order to achieve Elite Health, Synergy's Body Prime contains 400 mg of magnesium in one serving size (two capsules). While you can get your daily allowance from Body Prime alone, it's not a bad idea to eat foods high in magnesium, such as almonds (270 mg in 3.5 ounces), pumpkin seeds (262 mg in 3.5 ounces), dark chocolate (176 mg in 3.5 ounces), and peanuts (168 mg in 3.5 ounces).